Currently migrating the website to a new server. If links are not working please be patient. 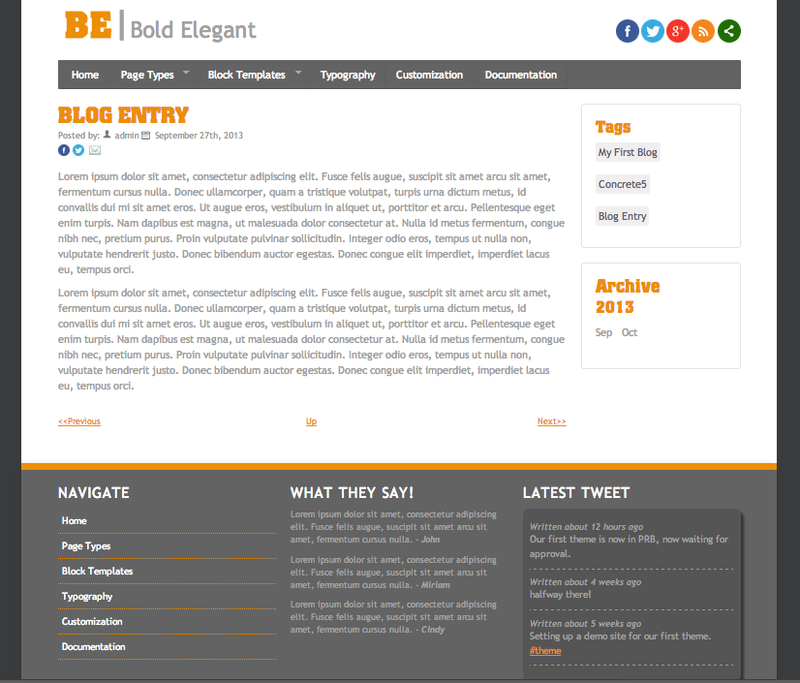 Bold Elegant theme is just BOLD and ELEGANT, gives your visitors an "AWESOME" experience. 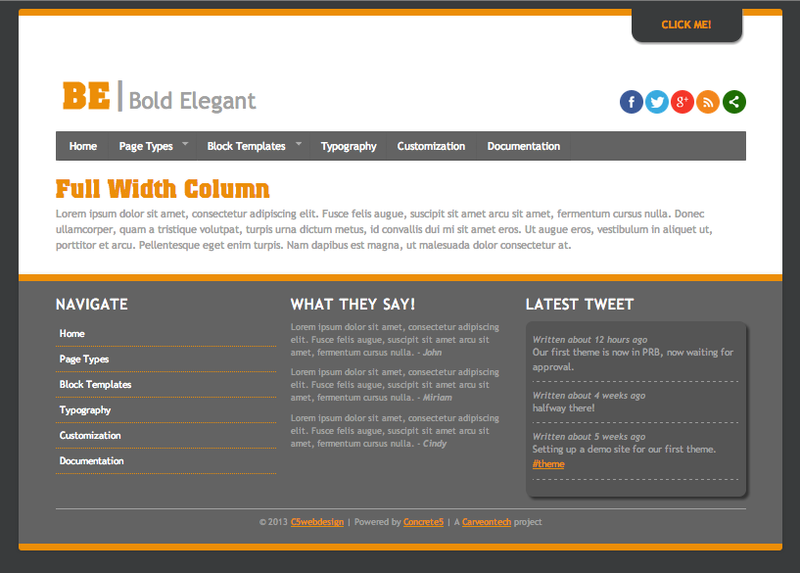 It is built using HTML5 and CSS3 it is good for corporate, portfolio, technology, magazine, blog and everything. 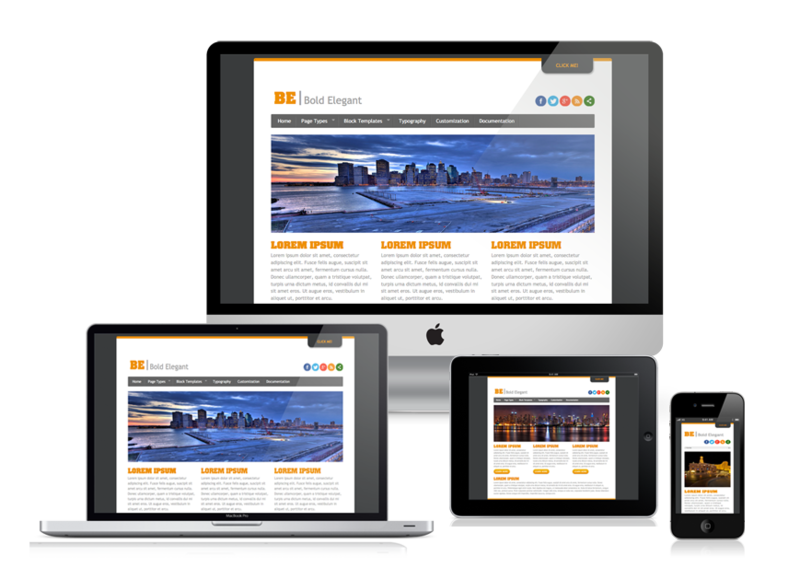 It is responsive/mobile-friendly so you don't have to worry for your site to look good in mobile devices, Bold Elegant will do it for you. 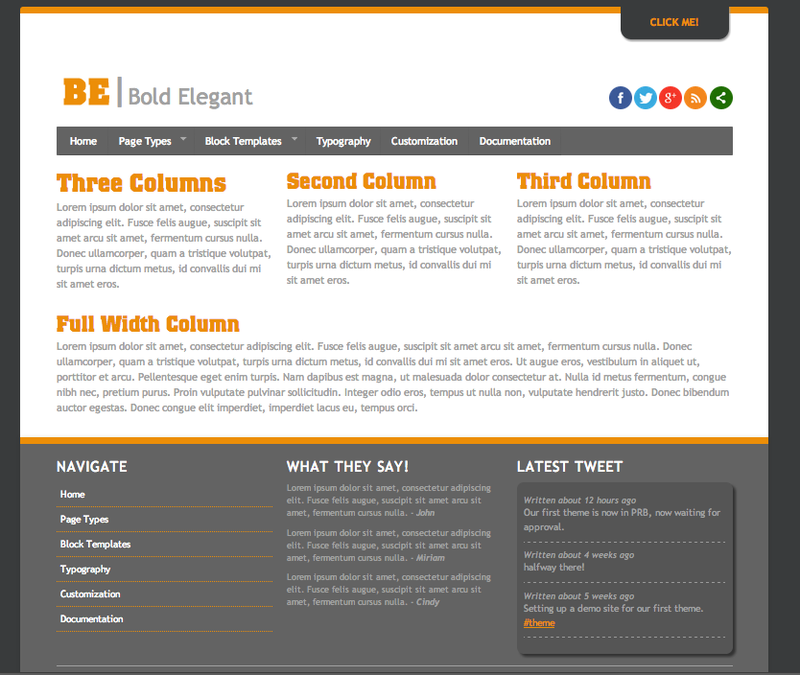 Lastly, It has 30+ customizable elements which you can edit few clicks from your dashboard and it supports Concrete 5.5+ and 5.6+. 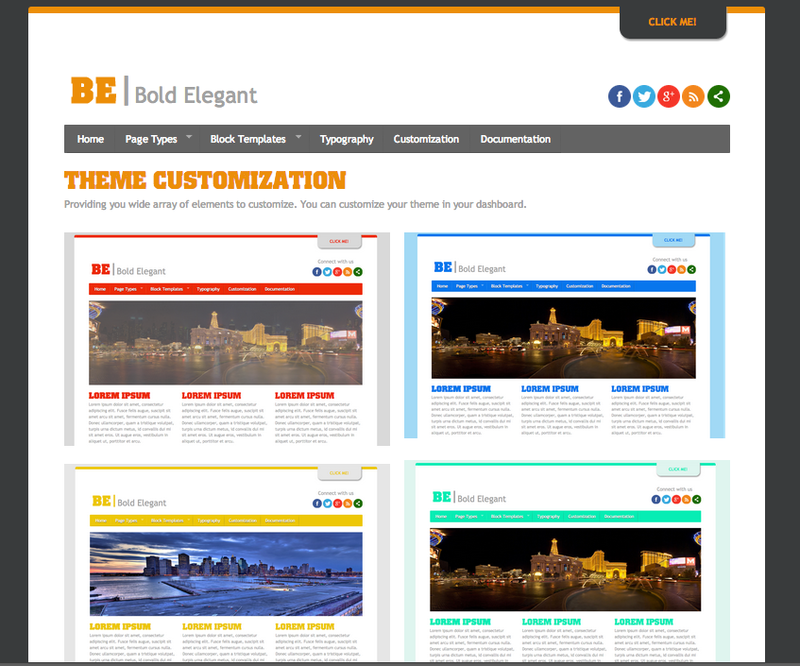 Click for the list of customizable colors/elements. 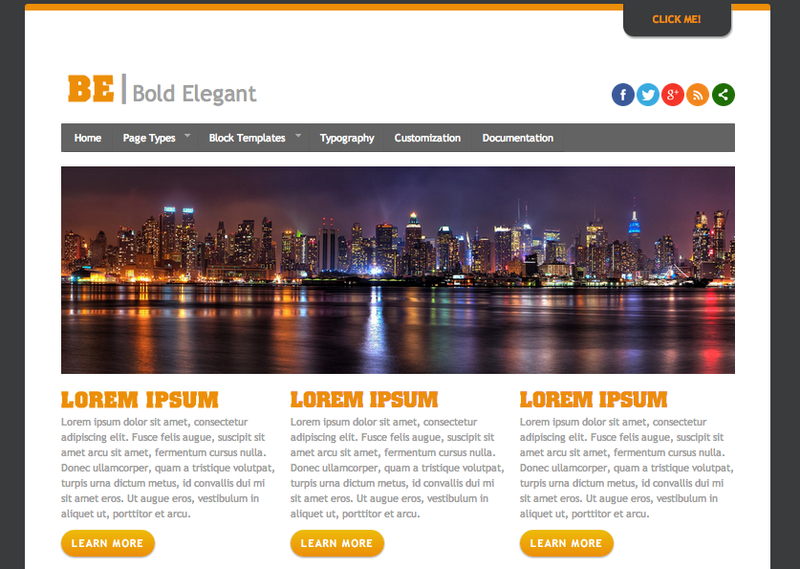 Visit our website for more themes.